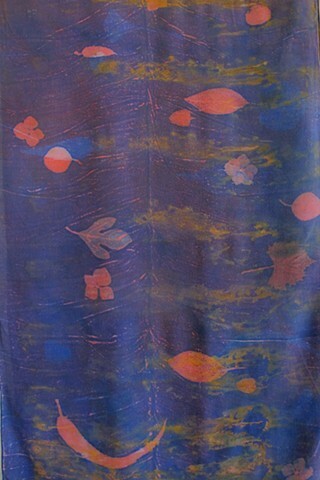 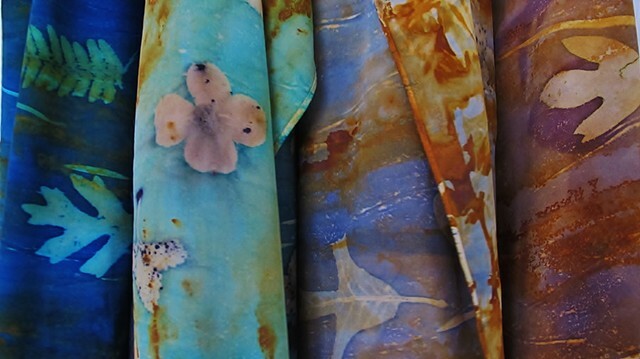 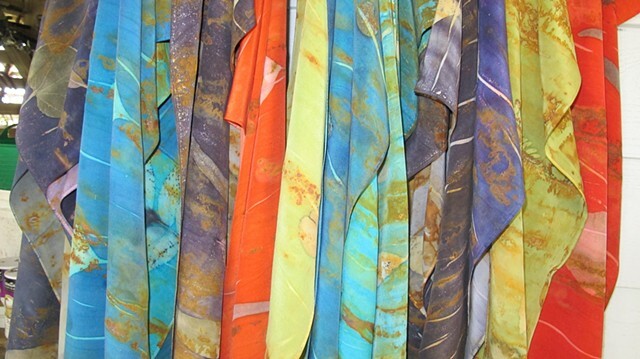 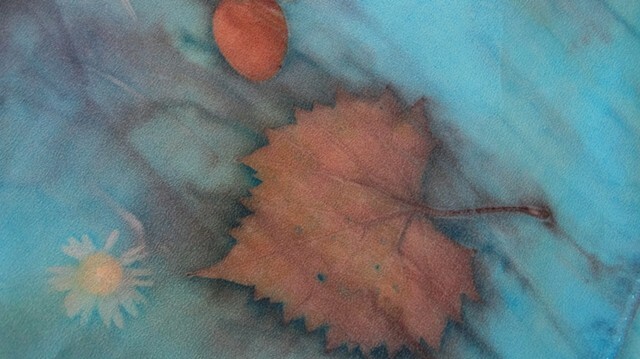 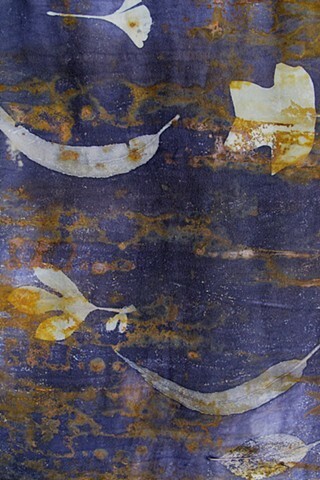 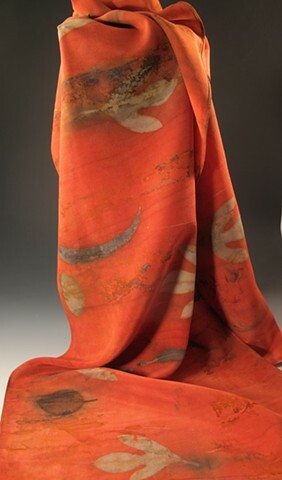 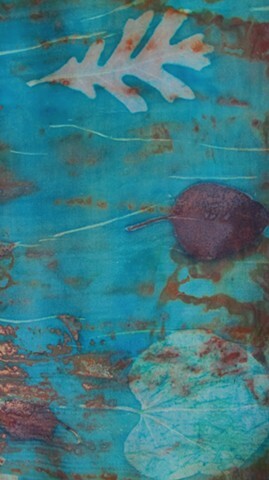 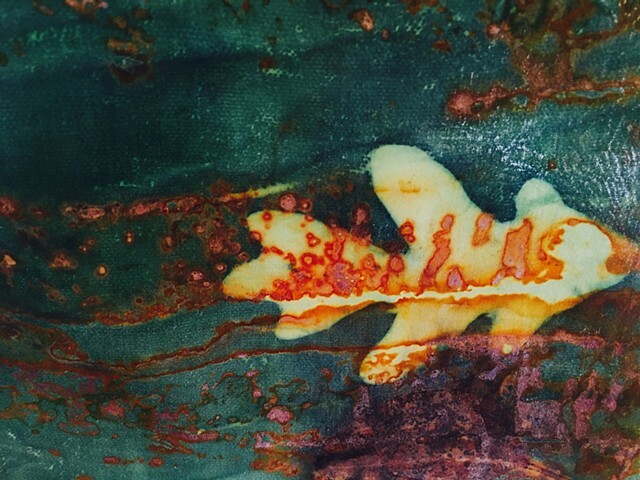 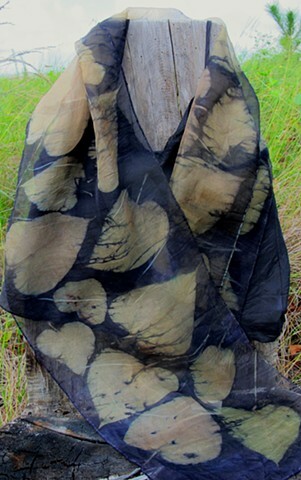 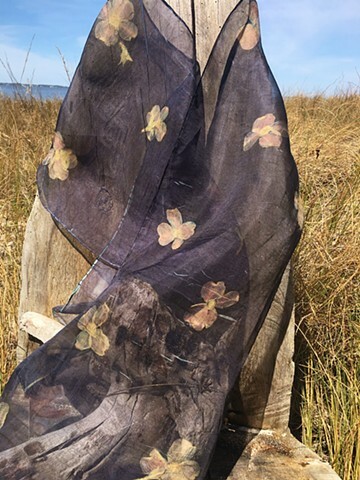 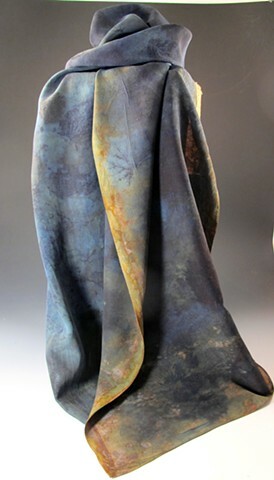 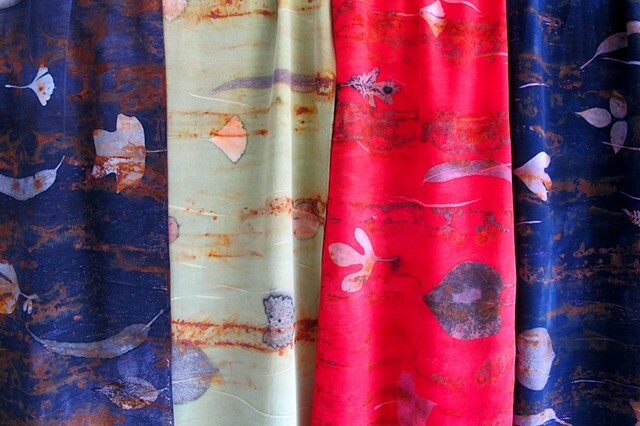 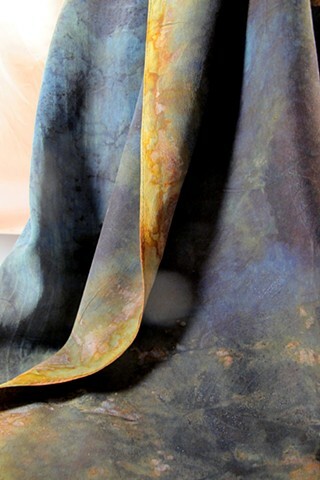 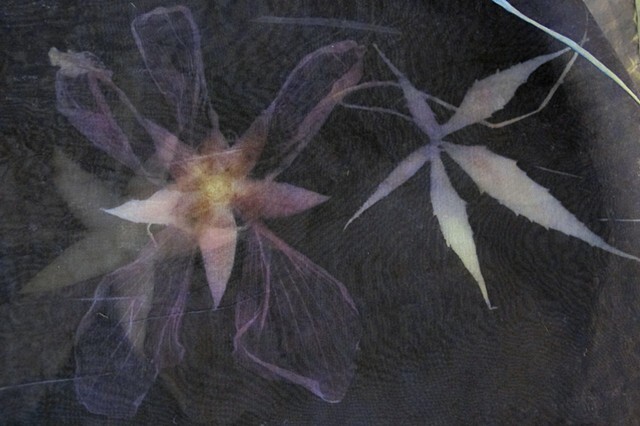 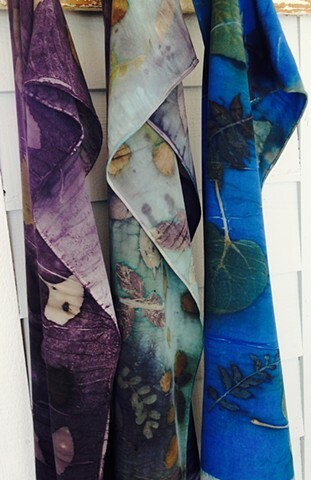 These Eco-Dyed scarves were dyed with a variety of leaves collected from Roanoke Island (aspen, blackberry, catawba, dogwood, eucalyptus, fern, grape, ginkgo, maple, oak, pecan, rose, sassafras, sumac, tulip poplar, walnut), and the plant prints are a direct result of the plants on the wool or silk. 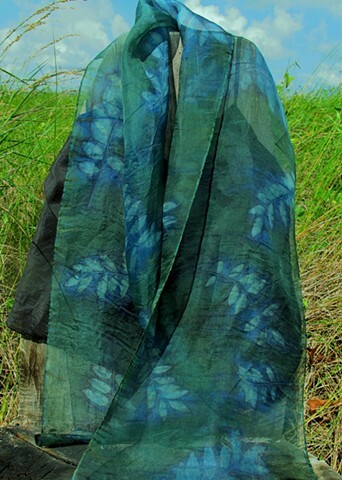 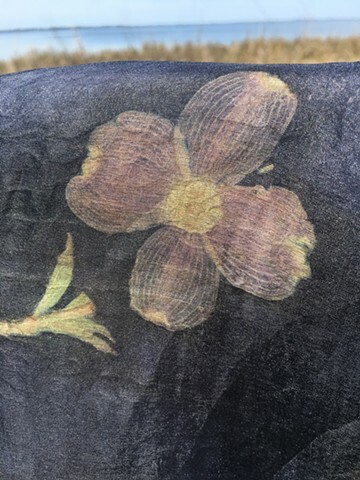 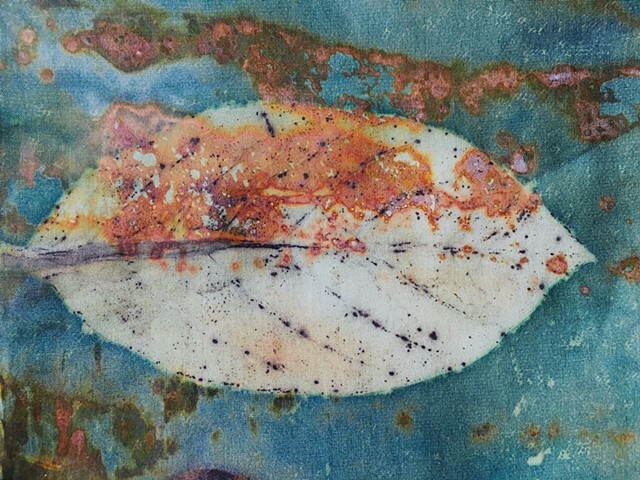 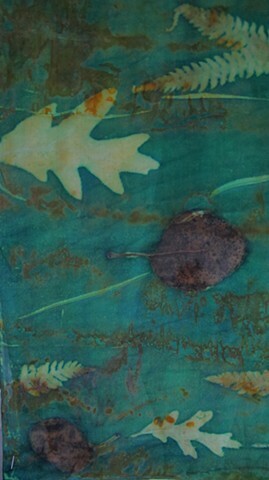 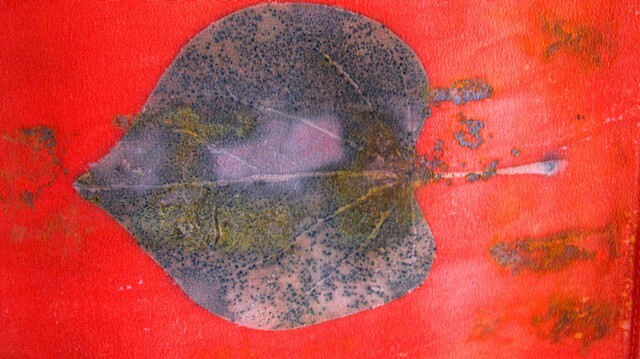 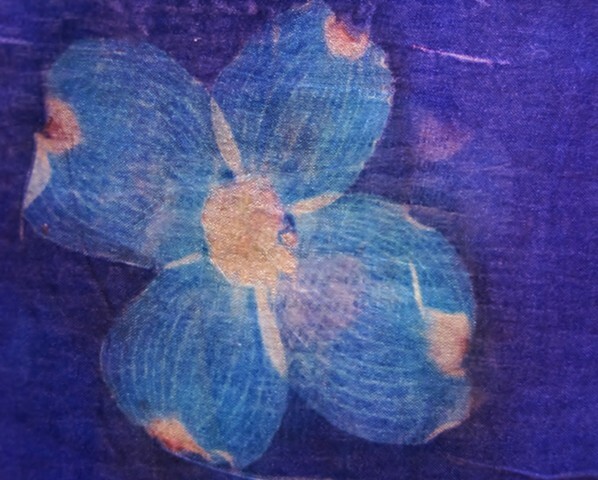 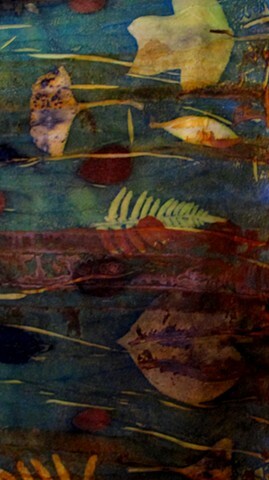 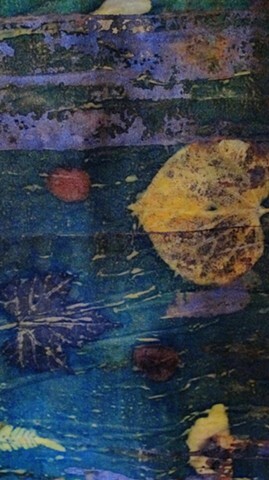 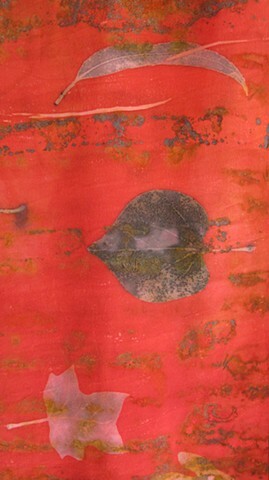 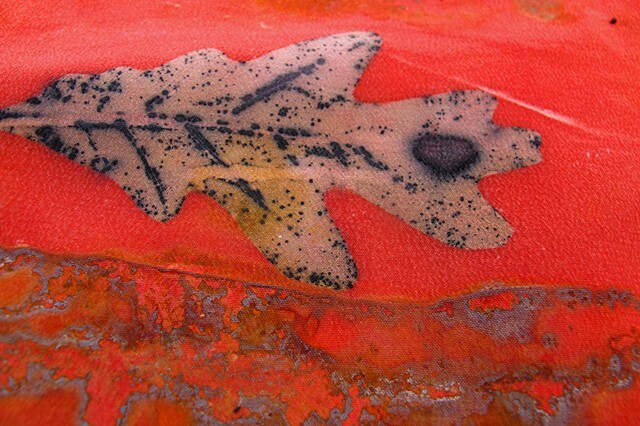 The Eco-Print plant prints were highlighted with bright acid dye colors, a technique called "medium print', which helps to bring out every detail of the leaves and flowers. 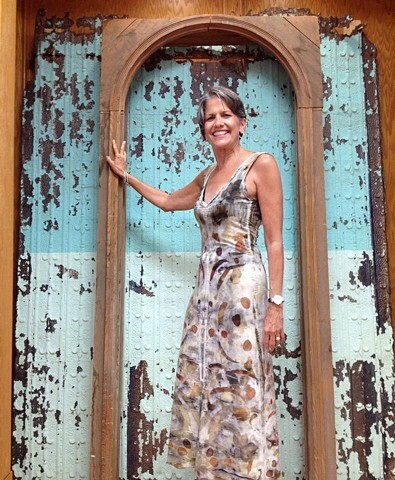 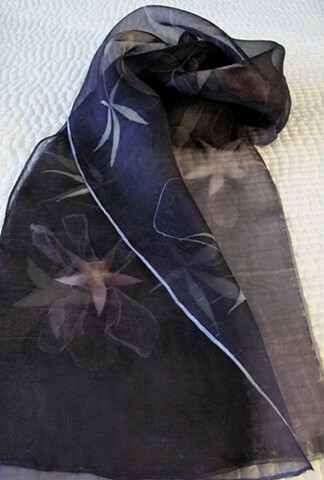 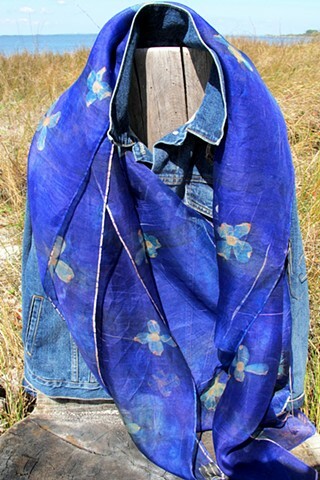 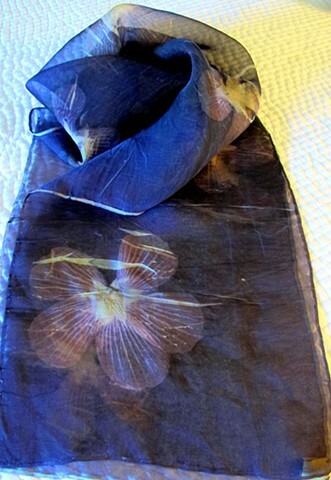 All scarves are very organic and a special unique piece of wearable art.